are the odds of that?” says Adam Scott. I have no idea what this means, but the line’s breathy delivery, coupled with string-heavy, ticking background music, give the trailer a kind of eerie poignancy. It is effective at setting a tone, and I am sure it offers plenty for YouTube’s cottage industry of professional speculators to pour over. But the ending tag, “only on CBS All Access,” is what sticks in my mind most. However good the show turns out to be, I wonder how many potential viewers will be put off by the paywall. Currently, Netflix, Amazon Prime, and Hulu are the most popular and ubiquitous streaming services, but a number of other media companies have been vying hungrily for a slice of their digital pie. Disney has unceremoniously cancelled all their Netflix original Marvel superhero series, and, according to an article in the New York Times, they intend to open a pair of streaming services, Disney+ and a yet-unnamed ESPN service. While Disney has yet to set an exact price, Disney CEO Bob Iger claimed in an article in Variety that it will cost less than a monthly Netflix subscription. While Disney’s streaming service has yet to be implemented, Disney is Disney, and, as much as I do not like the idea of yet another paid subscription service holding content hostage and gnawing away at consumer’s wallets, I imagine that it will do okay. But CBS is not Disney, and aside from The Twilight Zone, the only noteworthy original programs it offers are Star Trek: Discovery and The Good Fight. There is a chance the new Twilight Zone reboot may suffer the same fate as Yahoo!’s short-lived Community Revival, or the previous 2002 Twilight Zone reboot, which lasted only one season. Ignoring how CBS intends to distribute the series, the new Twilight Zone has a lot of promising ingredients, despite a kind of rocky production history. A Twilight Zone revival was rumored in 2012, with Bryan Singer — a man recently accused of sexual assault — allegedly attached as producer. Production seemingly stalled until 2016, when The Wrap reported that a Twilight Zone interactive television show — or maybe a film? CBS never really clarified — was in development, with a pilot written by BioShock writer Ken Levine. What the project would actually look like was never revealed, and CBS again went quiet until rumors began circulating in 2017 that Jordan Peele’s production company, Monkeypaw Productions, was in talks to produce the series. These rumors were confirmed by a 2017 Deadline Hollywood article, which reported that Peele’s company, alongside Simon Kineberg’s Genre Film production company, would produce the show together. 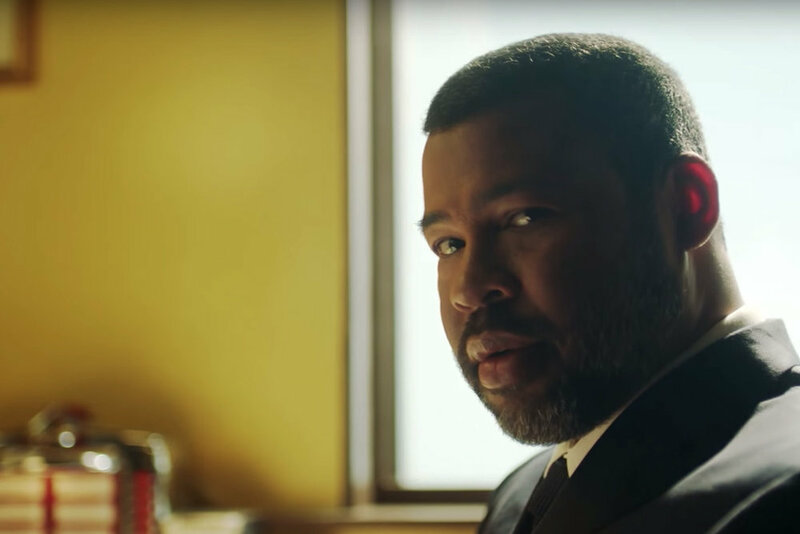 Peele’s breakout film, Get Out, is a tightly-constructed social thriller, a genre that Peele has spoken about at great length. He is a knowledgeable filmmaker, and a talented writer; Get Out won an Oscar for “Best Original Screenplay.” His name brings a degree of prestige to the project, and a promise that it could, at least, be something interesting, though I’m not sure if it will last for more than a single season.